Roslyn is a co-dependence recovery coach who has first hand experience of dealing with addiction, in herself, her children, and her family. Having faced the legacy of her primary family’s debilitating addictions, Roslyn was then challenged with the drug and alcohol addictions which emerged in her now adult children. 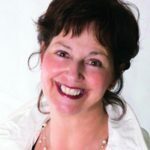 What Roslyn will now tell you is her deep gratitude for this experience, which afforded her the insights and wisdom to address co-dependent behaviour in herself. As a result of this lifetime’s experience, Roslyn has developed a thorough ‘daily deliberate action plan’ and with a program and network of support, she has navigated the tricky road to recovery. Now with the benefit of a lifetime’s experience, she is now inspiring greatness in others who are navigating a pathway to recovery.